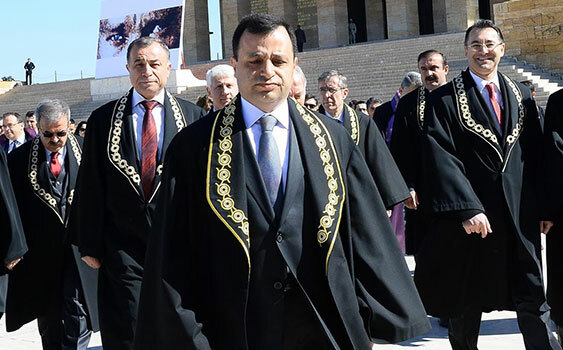 The president of Turkey’s Constitutional Court, Zühtü Arslan, has said justice does not necessarily require that everyone in society be treated equally in every situation. Turkey’s judges and prosecutors are being widely criticized for acting on orders from the Justice and Development Party (AK Party) government. The AK Party is under fire for using the judiciary as a stick to silence and punish its critics. In the aftermath of a failed coup attempt on July 15, the government has expelled thousands of judges and prosecutors on coup charges. Many judges and prosecutors are currently in Turkish prisons because they took part in investigations or made rulings that angered the government. Two members of Turkey’s constitutional court, namely Alparslan Arslan and Erdal Tezcan, were detained on July 16, arrested on July 20 in post-coup purge and dismissed from profession on August 4.